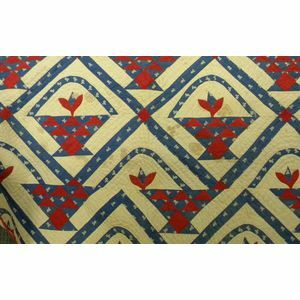 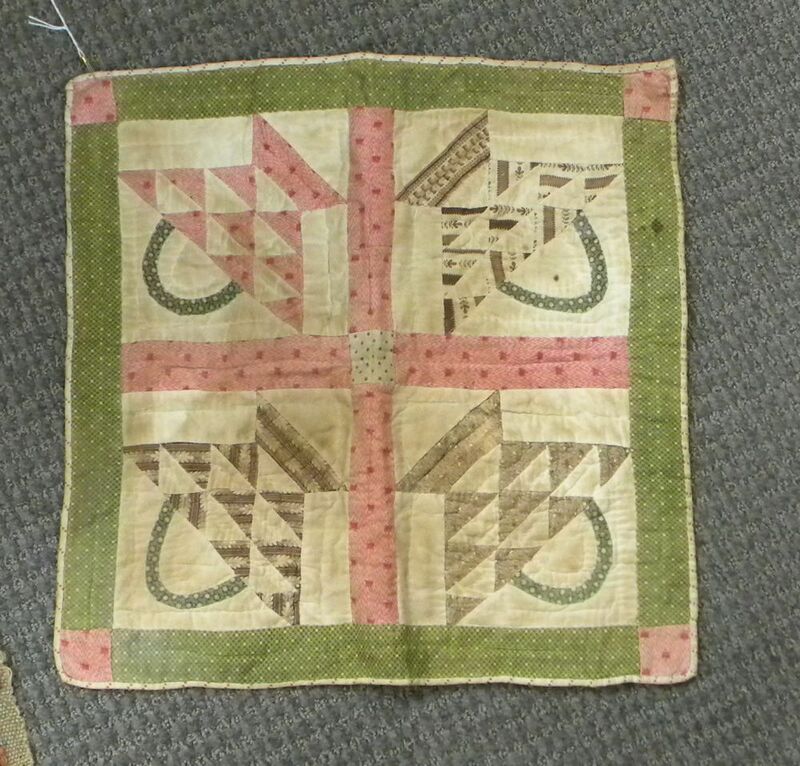 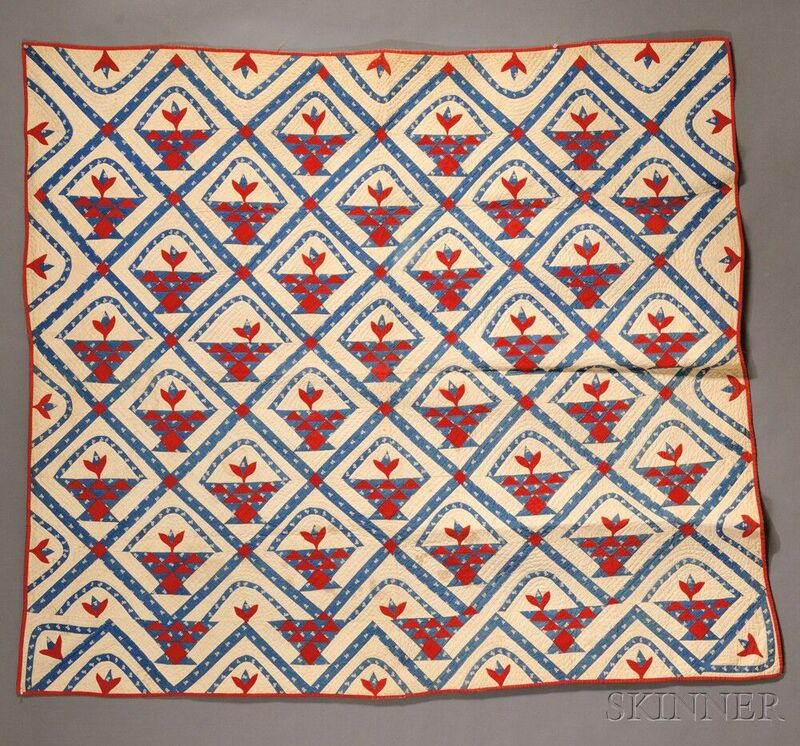 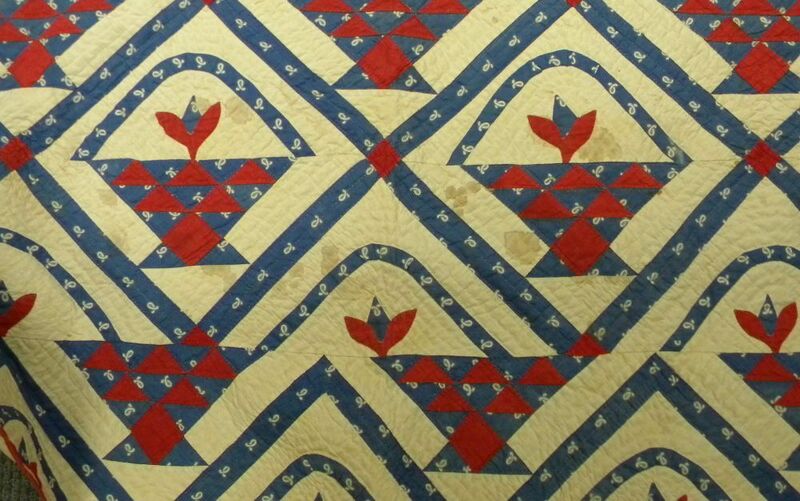 Hand-stitched Pieced Cotton "Basket of Flowers" Pattern Quilt, America, early 20th century, composed of red, white, and blue fabric, together with a four-square "Basket" pattern textile, (imperfections), lg. 71 1/2, wd. 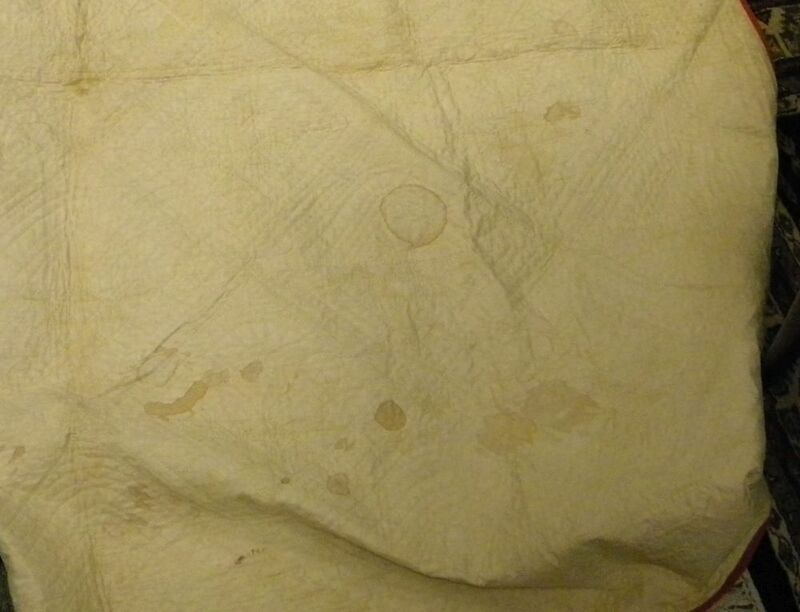 78 in.